Want to travel abroad in the next 6 months? Check the new Cebu Pacific international seat sale as low as P244 one-way fare! 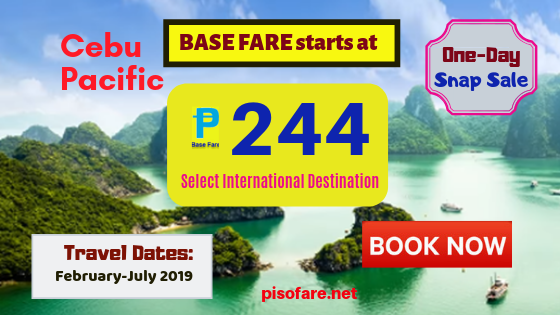 Yes, book or buy ticket as low as P244 base fare for trips Davao or Iloilo to Singapore. At P999 base fare fly to select international destinations from Manila, Cebu, Clark or Iloilo. This promo is SNAP SALE, booking for promo tickets is good only for one-day on January 16, 2019. Grab Cebu Pacific promo fares as soon as possible, limited slots and subject to seat availability. 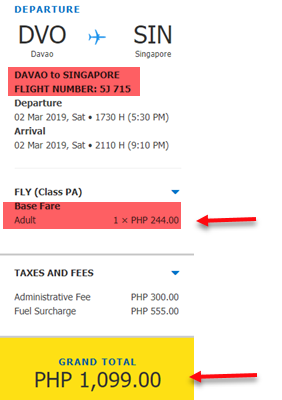 Quoted Cebu Pacific promo tickets are good for one-way trip and cover only the base fare and 7 kilos hand carry baggage. Web Admin Fee. Fuel Surcharge, International terminal fee and Travel Tax shall be paid at the airport prior to departure. Purchase the affordable fares at Cebu Pacific ticket offices, travel agents and ticket booking offices nearest you. Reserve promo fares by calling Cebu Pacific Reservation Hotline Numbers. Sale tickets booked online may be paid using Credit Card. Debit Card, PayPal, Alipay or in cash via Cebu Pacific Payment Centers where you have the option to pay before 12 midnight of booking date or within 24 hours from booking time. Read Cebu Pacific Checked Baggage Rates. Be reminded that you need to secure all required documents for your travel including visa, permits and all travel requirements, laws and regulations of country of origin, transit or destination. 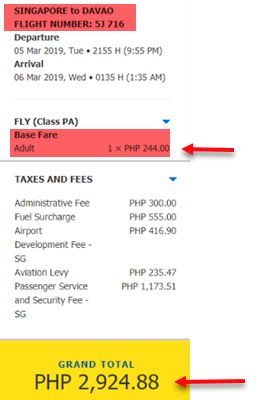 Base fare promo tickets of Cebu Pacific are non-refundable but can be re-book subject to re-booking fees plus fare difference. Do you need updates on promo and piso fares 2019- 2020? Receive promo notifications, travel tips and updates by following us in Facebook: PISO FARE TICKET!